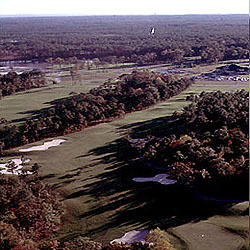 Both 18 hole courses are set along a nature preserve, offering pretty scenery, an interesting variety of elevations and marsh to clear on several holes. Five sets of tees allow every golfer to find a comfort zone. 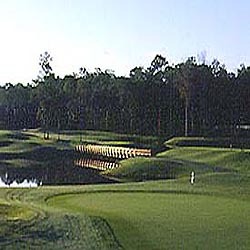 Wide fairways twist and turn around visually appealing lakes, brooks and waterfalls on the Panther Run Course. Deer, barn owls and waterfowl frequently are spotted along both courses. The Lions Paw Course features an excellent links-style back nine. The two courses offer an excellent opportunity for golfers inclined to play 36 holes in one day and both offer the variety and challenges which will make the short 30-minute trip from Myrtle Beach well worth it.